It’s funny how some posts draw comments… and what for…Like my post on spring salads prompted requests for the recipe of the potted meat I served with it! Which, of course, one should rightly ask for the recipe, because it is simple, simply delicious, can be made well in advance, will keep in the fridge for quite a while and requires nothing more than a fresh green salad and a chunk of crusty bread to transport you to a little lunch nirvana. Yes, it will take several hours from start to finish, but most of it is not active time: the pork is slowly (slowly – I say) cooking while you go do something else. When it’s cooked, you let it cool enough to handle, and you use your hands to shred the meat (how fun is that? ), pack in pots, cover with melted fat, refrigerate for a couple of days… et voila! Serve it and look like a genius! 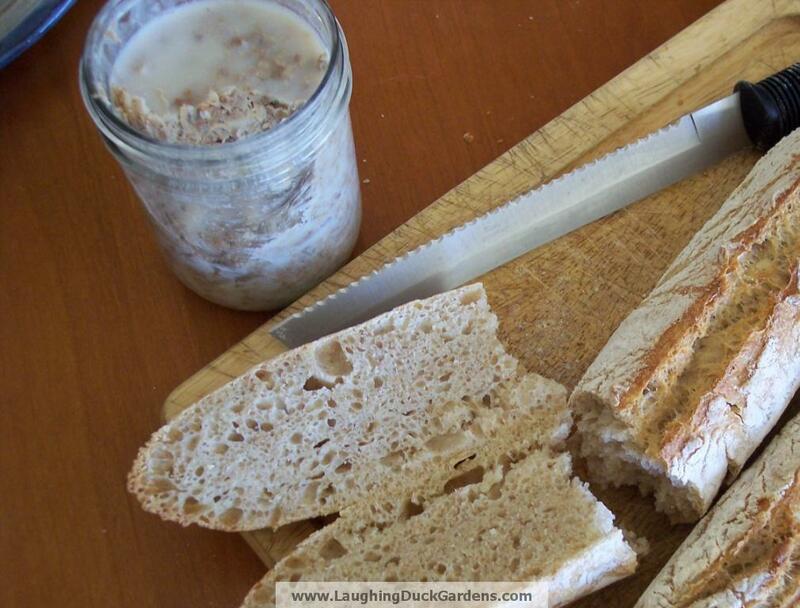 So here’s my picture-free recipe for Pork Rillettes. Yield: 10 to 12 servings as appetizer or to eat with your salad and bread. Cut up the meat and the fat in small cubes (1 inch square/ 2.5 cm or so), keeping them separate. In the blender, puree the shallots and garlic. Melt the pork fat over low heat in a heavy bottom Dutch oven (or French oven: Le Creuset is perfect for that). Add the meat cube, and brown them lightly, turning them constantly. You do not want to create a crispy crust, so don’t do it too long. You may want to do it in batches, depending on your pan. Remove the meat from the fat (slotted spoon is handy), strain the fat into s small pan and reserve. Return the meat to the pan, with the onion/garlic puree, the herbs, spices and the water (if you can tie the spices and herb in cheese cloth or put them in tea bowl, if you are the kind of person who can stand to see a sprig of thyme floating in your pan). Cover and cook for 4 to 5 hours over very low heat, stirring occasionally and adding a little water if it looks dry. Remove from heat and let cool until lukewarm. Fish out the spices and herbs. Shred the meat with your hand (or two forks, if you must) as if you were shredding the meat for pulled pork – but finer. Warm up the reserve fat if it has solidified, so it liquefies. Note: when you pour the fat, the rillettes may not look very appetizing, but after refrigeration, the fat turns a lovely white, characteristic of a pot of rillettes. Locavore Log: Pork & pork fat from Belle Meade, herbs from the garden. That’s cool, I really have to try this ! Merci Sylvie ! Mmm. Gonna have to try this one for sure. Using homegrown garlic, thyme and shallots will also bring out more flavor. Thanks for the recipe. Debra, you are so right. 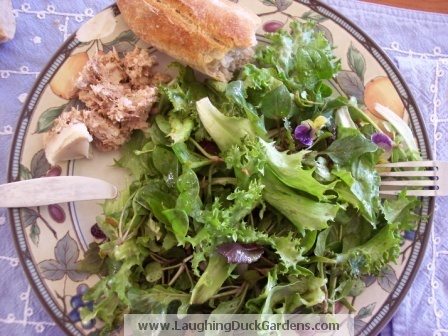 Homegrown herbs, fresh or carefully preserved, add a lot of flavor to dishes, especially simple ones like rillettes. Pingback: Rappahannock Cook & Kitchen Gardener » Lard: make it at home. A pictorial guide.